1 – Describe Lost Girls with a haiku. Here's my rather lame attempt at a haiku. Haha. Bad girls aren’t all bad. 2 – In a genre like mystery/thriller, how hard is it to stand out? And in what way do you think Lost Girls does stand out and offer something that should make people want to read it even more? 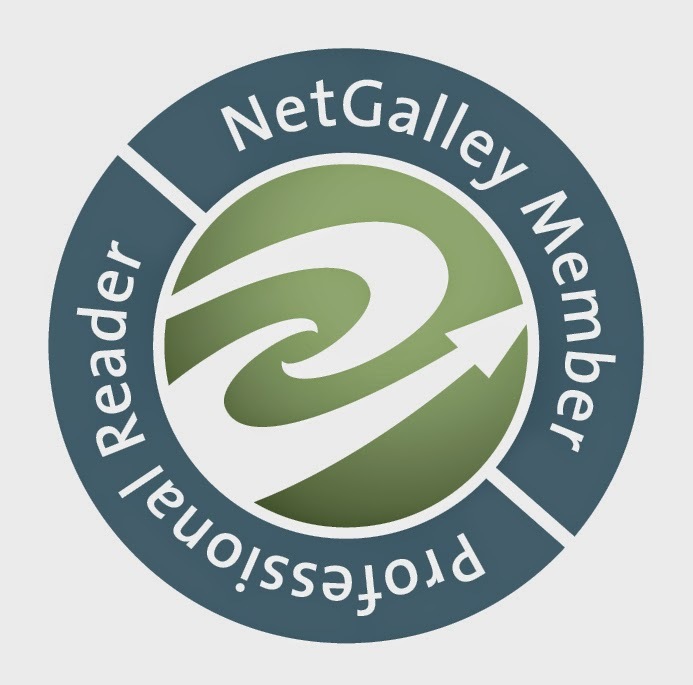 I think it’s hard to stand out in any genre, because the reader expects certain to happen. So you have to make sure you deliver those things. I think the best way to make your story stand out is to offer the reader even more than they’re expecting. So if you can weave in a romance or another subplot, that gives you the opportunity to make your story stronger. For example: the romance storyline can be at a high point when the mystery storyline is more subdued, giving the book a natural rhythm or ebb and flow. The goal of every writer is to create a book that the reader can’t put down, so having at least two storylines makes this easier to do. 3 – What was the most challenging about writing Lost Girls and which scene was the most fun to write? The hardest part about writing a mystery is finding that balance where you keep a secret from the reader just long enough to hold their interest, but not so long that they get bored. The scenes I loved to write the most were the love scenes with Dylan and Rachel. Those were so sweet! The hardest ones to write were the fighting scenes. They were very technical and I had to do a lot of research for each scene, making sure I got the moves right. 4 – What do you like most and least about your main character, Rachel? I like that she was stronger than she thought. I don’t mean physical strength, I mean courage and spirit and the ability to do things because they were the right things to do. I didn’t like that she hurt Molly or her family, but that was essential for the story. It wouldn’t have worked if I had spared the people she loved from being hurt. That’s how love is. If you really care about someone, then their bad decisions/actions will affect you. Actually, no, I wouldn’t change anything. I enjoyed writing this book, I loved the characters, I loved all the twists and turns and reveals and, without saying too much, the ending makes me cry every time I read it because I love it that much. 6 - How do you feel about the fact that in only a few more weeks (January 3rd) hundreds of readers will be able to hold and read Lost Girls? “Eeeek!” I’m excited, I’m nervous, I feel like I won’t be ready in time and, on top of that, I worry about how my hair will look. LOL. Because I’m always worried about how horrible my hair might look at a signing or event! 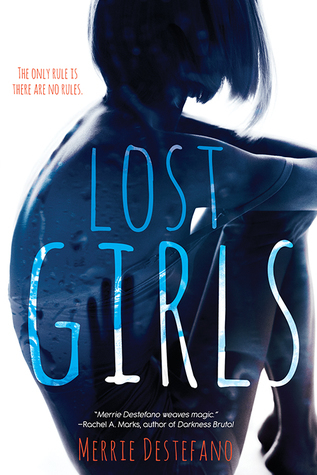 Seriously, I’m thrilled about the upcoming release of Lost Girls. I’m on pins and needles, and I really hope readers will like it. I hope they’ll see some of the deeper themes in the book, but most of all I just hope they have a good time when they read it. I love the cover so much! I can’t believe the artist was able to get so much across with what, at first glance, looks like a simple image—a girl sitting down. But the more you look at it, the more you see. Her position looks defensive, withdrawn, pensive and frightened, all at once. The superimposed image of the hand—whoa. To me that says, there’s another girl inside me, trying to get out. I love covers that tell just enough of the story to make you want to know more. I think this one does just that. I used to think that I needed to write every day, mainly because so many professional writers give that advice. I don’t even try to do that anymore. I work as a magazine editor, so there are times when my schedule is completely full. I also used to give up weekends and evenings to write, but it turned me into a weird hermit and I was missing too much of what life is really supposed to be about—other people. So I wait until I have a great idea before I start a new book. When I’m writing, I try to write between 1,000 to 1,500 words per day, and I take Sundays off. With that schedule, I can usually get the first draft of a book done in about three months. So, if I include the editing cycle, I can usually get about one and a half books done per year. First, yay! I’m really glad you want to write! My advice for you: start by reading a lot. Read books in different genres than you what you want to write. (This stretches you and gives you a more brilliant palette to work with.) Then write. Try your best to finish writing a full-length book before giving up. There’s something about that first book. It can take years to write and it can be so hard to finish, but it’s essential to write it. It may never get published, but it will teach you. Your writing skills will get better with each book you write, so never think you’re a failure because you’re not published. The correct way to look at it is: you’re not published YET. Writing is hard for beginners, but it’s also hard for someone who’s published ten books. It’s a bit like peeling back your skin and writing with blood. When you’re doing it right, it hurts. It’s also very cathartic. I can’t tell you how many times I had a hard day at work, but my time spent working on a story was magnificent. It can be a healing process. Even though you’re writing to entertain a reader, you are most likely battling your own inner demons while you’re typing. Great question and I usually vacillate between two answers on this one. I either want to be invisible, because there are just too many times when I’d like to run errands and not be seen. It’s the introvert in me. The other answer, which I love just as much, is I’d like to be able to fly. Funny, right? I either want to hide or I want to go everywhere. But honestly, if I could have only one superpower, I'd love to have the power to heal. There are just too many people suffering with illnesses, both physical and mental, and it breaks my heart. If I could touch someone and make them better, it would be the absolute best thing in the world. Answer the following question in the comments below (please also leave a twitter handle or email so I can contact you in case you've won) for a chance to win a signed copy of Lost Girl (open internationally). The giveaway runs until December 30th 2016! Good luck! If there is one memory you wouldn’t want to forget, what is it? There are so many memories I wouldn't want to forget and not all of them are happy. So, I guess I will go with the first one that popped into my mind: I would not want to forget the look on my dog's face when we left her at the vet to be put to sleep. It is one of the worst memories I have and fills me with so much regret that I cry every time I think about it because she gave me this look like 'why are you leaving me?' and that was her last memory of us. I picked this memory because it is probably the most emotional and vivid memory I have. It's also probably the biggest regret of my life, but I wouldn't want to forget it for the world because I loved that dog so much and I do everything I can now to make sure I never make that kind of mistake again. Thank you so much for sharing your memory! I'm so sorry! I can totally relate since my dog gave me the same look two years ago and it was the worst.